However, I can’t find a good English name to it.. 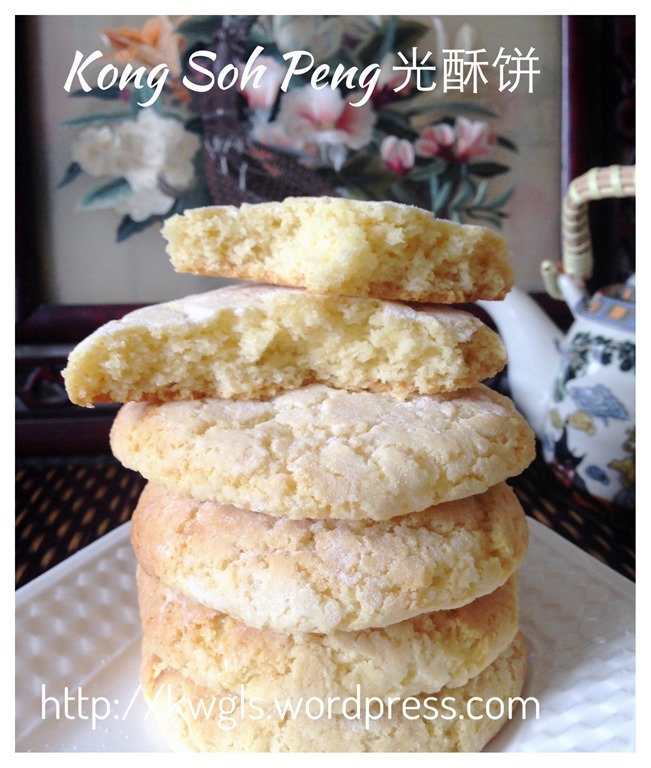 Some called it White Sugar Cake which shocked me as the it sounds like the Pak Tong Ko or a type of Chinese steamed cake that are full of honeycomb structure. 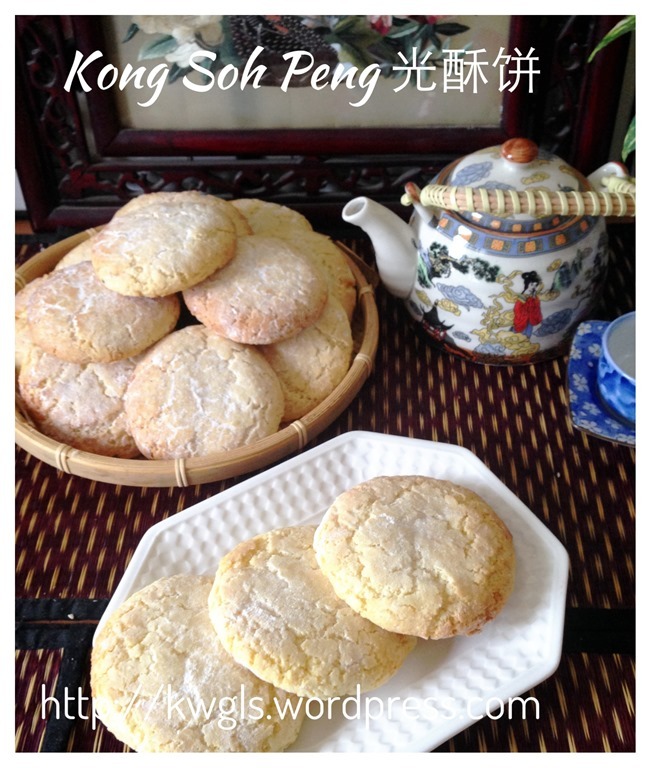 Some translated it as Chinese shortbread but I am unwilling to use this translation as the ingredients, texture, outlook and flavour are materially different from English shortbread biscuits. Hmmm, possibly the preparation step and some slight resemblances that required quick and light handling. 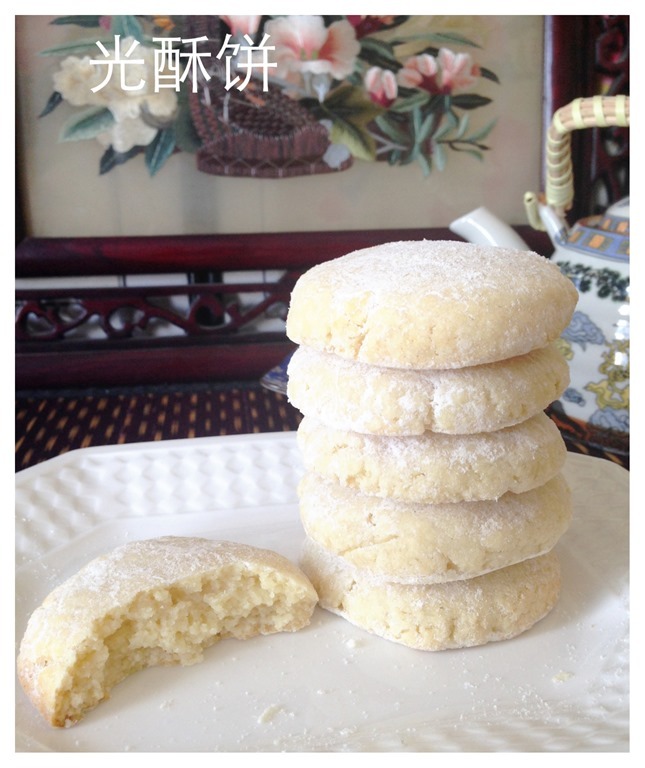 Since white is the main characteristic, for the sake of a simple English naming, in this post, I will name it as Chinese White Biscuits..In fact, colloquially, it was called a “white biscuit” because after eating the biscuit, your lips and mouth will have white flour that comes with the biscuit.. I have decided to issue this recipe despite of the fact that t I can’t obtain the optimum outlook of a smooth, flawless surface. This is because the taste of the biscuit is good. 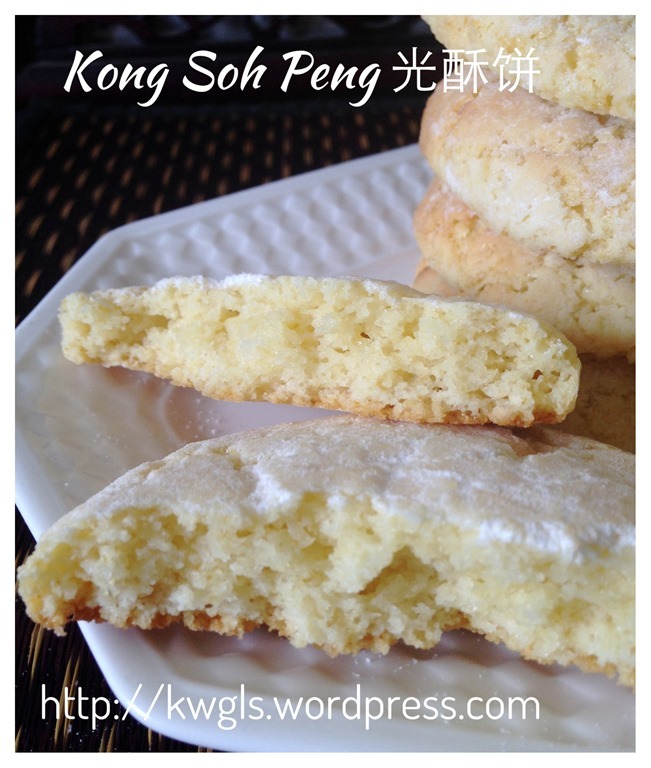 Kids were fighting for them for its milky, soft and sweet cakey type of biscuits..In addition, members of Facebook Groups are asking for the recipe. 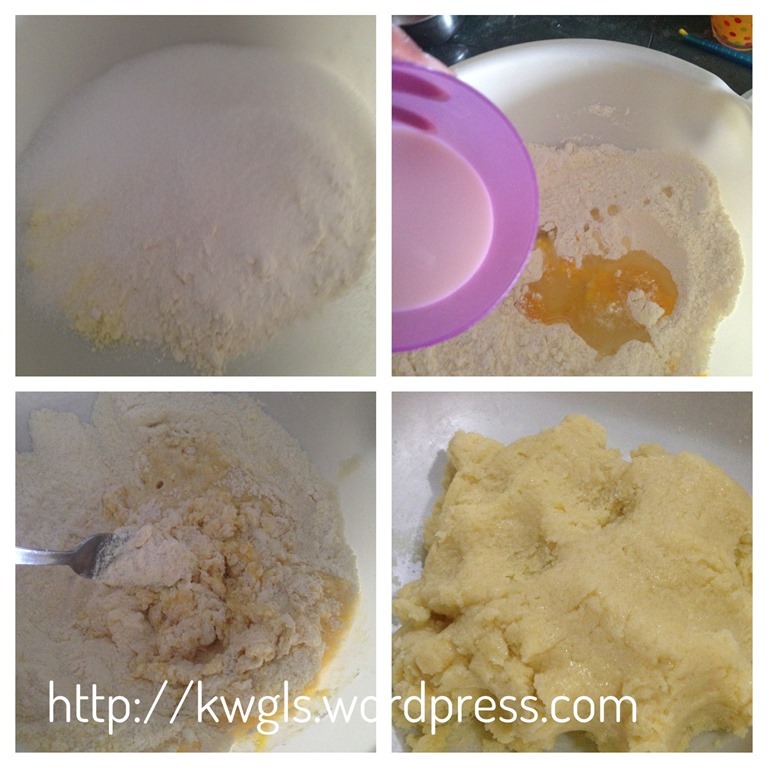 Divide the dough into 6. Shape like a ball, press and shape it like a disc. 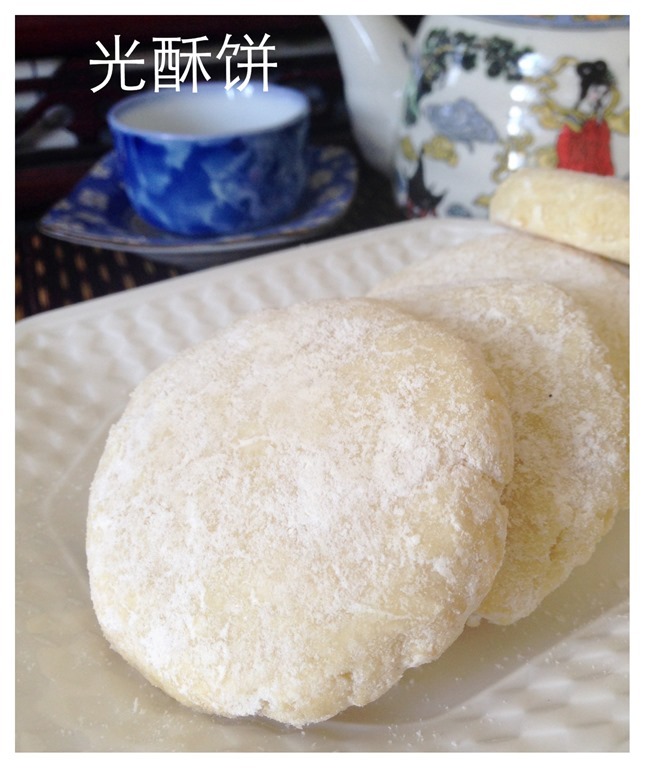 If it is too sticky, flour your hand before shaping. Bake in the pre-heated oven of 160 degree for 12-15 minutes. Place the baking tray in the lowest rack to avoid over browning. I am still unsure of the reason why it cracked as my first attempt (required the use of both baking soda and baking powder) have followed the original recipe strictly. 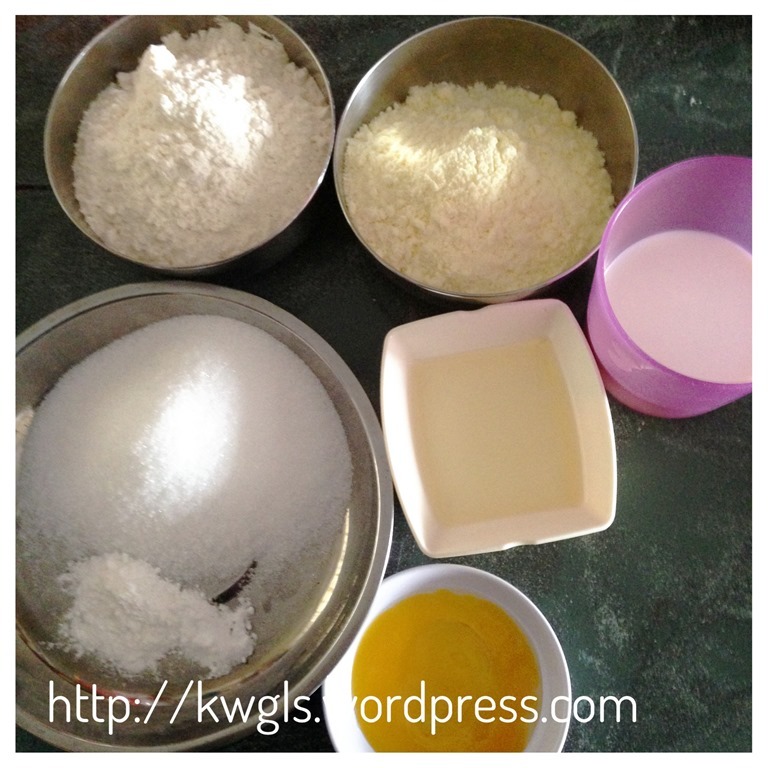 For my second attempt, I have shelved the use of baking soda and eggs but it still cracks..
Rest be assured that I will have my third attempt soon and in the next attempt, I will use plain flour and readjust the timing and temperature of baking. Don’t worry about the cracks, it still taste delicious.. 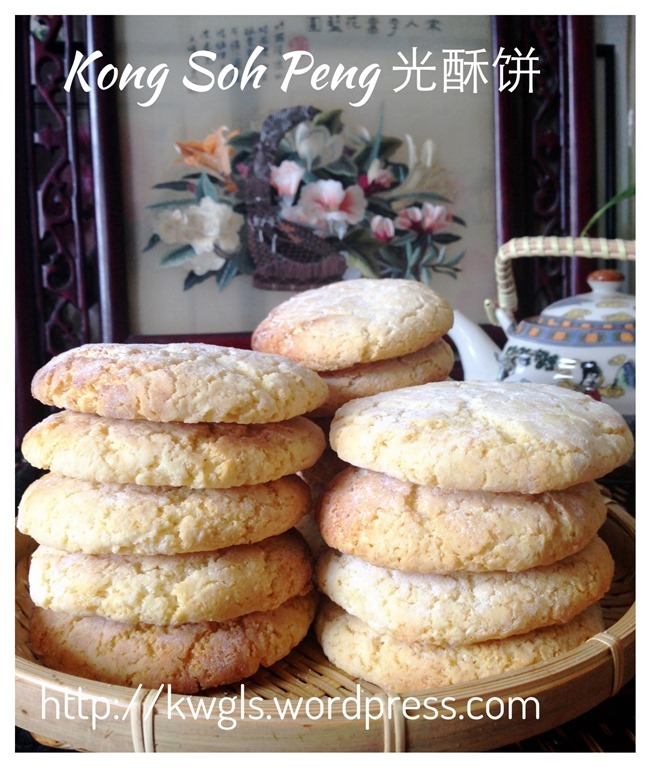 Since this is a quick preparation, just before I issued this report, I have decided to make my third batch using plain flour. The size of the biscuits and the crack have reduced tremendously. It is still soft and chewy but not as fluffy. 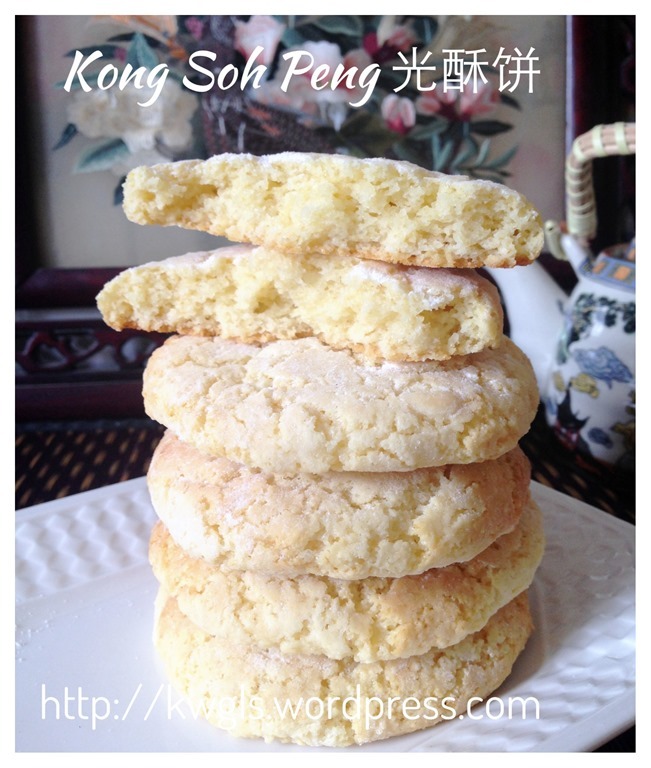 Therefore, I personally still prefer the recipe with self raising flour . Though it cracks, the texture is less dense. 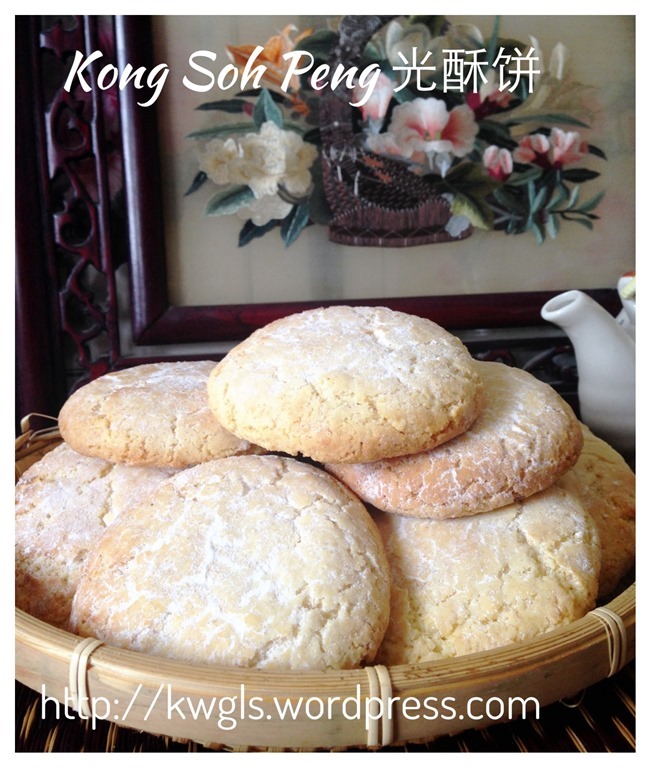 Therefore, It would up to readers to decide which recipe to choose – using self raising flour or using plain flour. 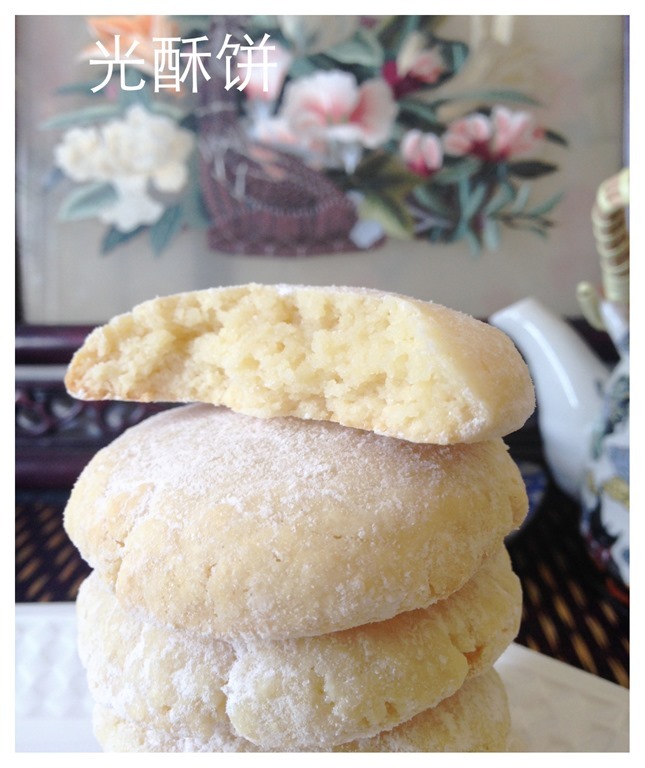 This entry was posted in Chinese and Asian Cakes and Snacks, Food Preparation Series and tagged 8, chinese white biscuit, chinese white sugar cake, 生菇饼, 粉饼, 西樵大饼, GUAI SHU SHU, Guaishushu, guang su pin, kenneth goh, kong soh peng, postaday, 光酥饼, 大福饼. Bookmark the permalink. 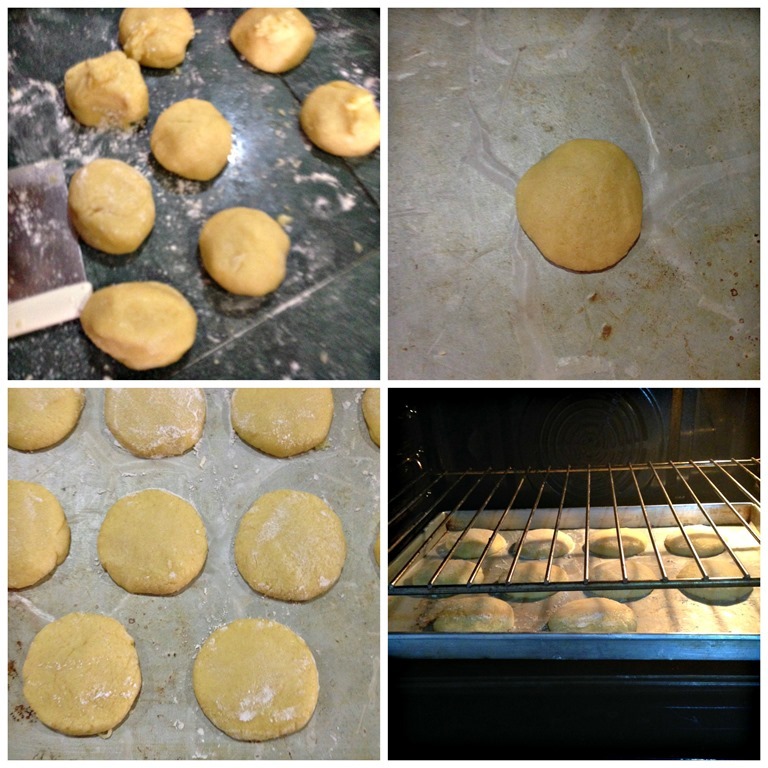 Thank you for your amazing recipe and your efforts into experimenting with the various flours in order for your readers like me can benefit from the best results. 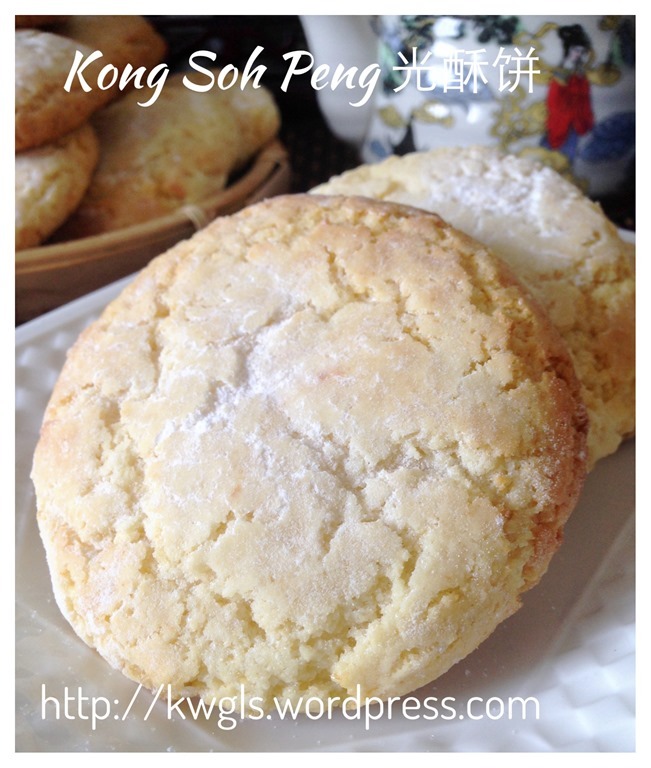 In future, should I bake this Chinese sugar shortcake, I shall use plain flour with some baking powder and baking soda since I do not buy cake flour. 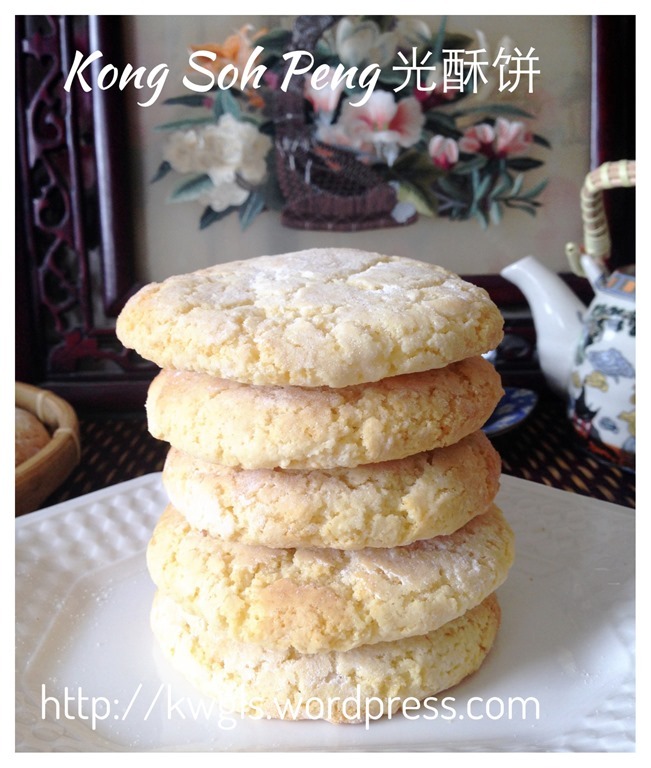 I love this biscuit! I remember I will make sure my mouth will be white after finishing these bicuits! Hahaha! 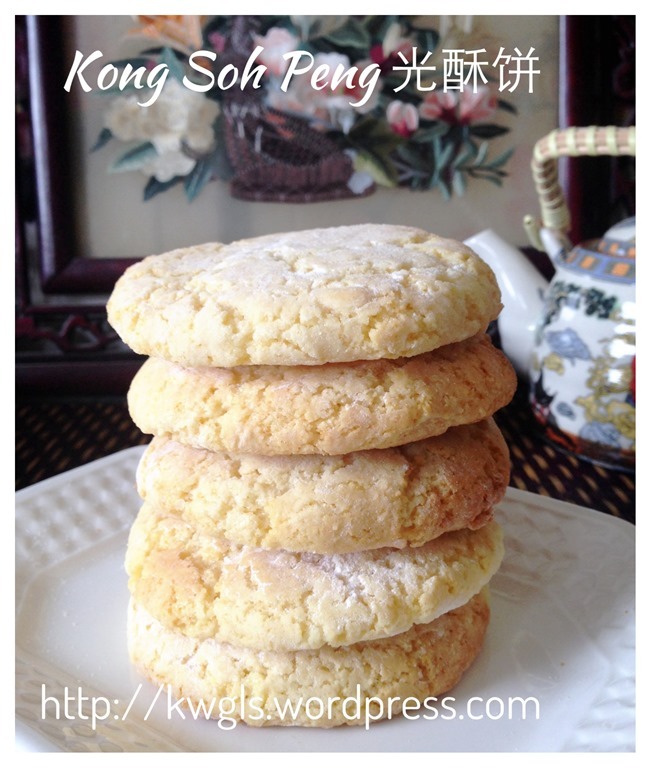 I have also tried making this but I can never achieve the same results as the one from KeeTsui Cake Shop in HK! Wish I can find their recipe or their secret! 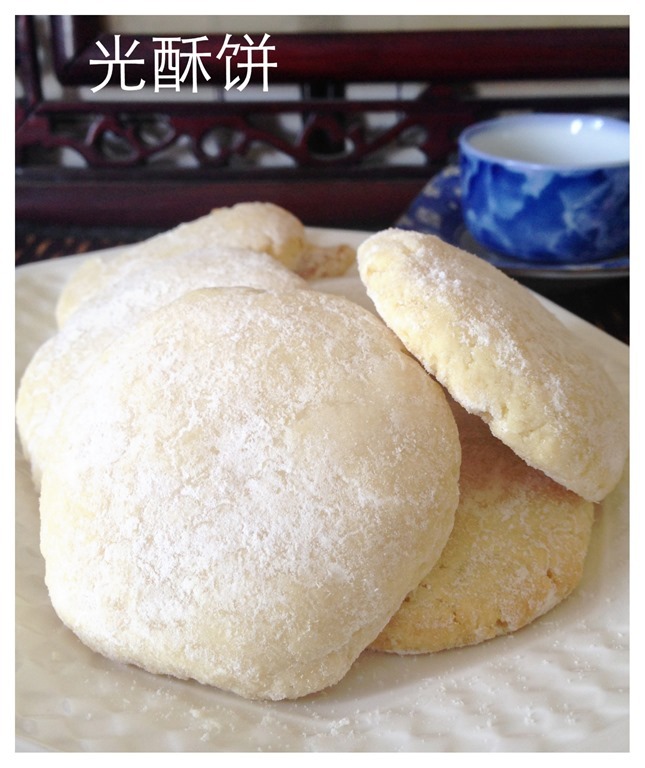 Jiayou… I think they used yeasting method… overnight yeast old dough for the baking..
Wow… a long lost traditional Chinese style biscuit. Kenneth, thank you so much for sharing, appreciate ! I am also surprised that the ingredients are so simple. 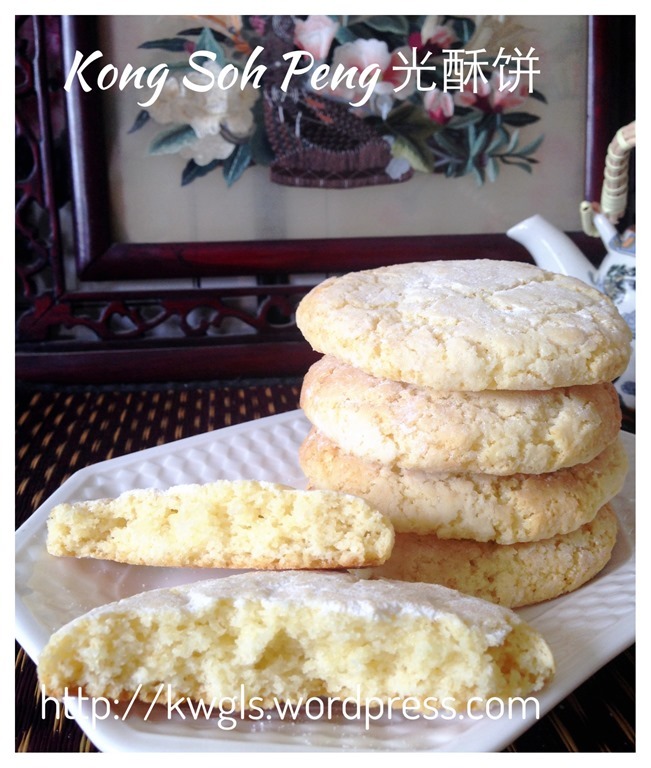 I must try it soon, hope it would be easy to do it as I am really new in baking. Hi,your ingredients did not show how many egg u add,appreciate u let me know thks u.
please disregard the picture. Should have no egg in the recipe.